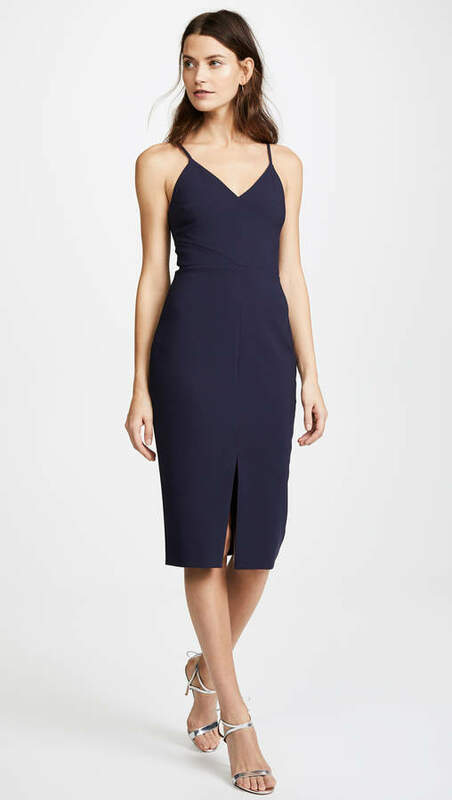 A sharp-seamed LIKELY dress with a V neckline and slim shoulder straps. Front slit. Hidden back zip. Lined.